…Davido cancels Felabration appearance The family of late Gbemiga Abiodun, better known as DJ Olu, one of Davido’s official DJs, has urged the public to disregard insinuations about his death. unconscious in his car a few days ago, alongside a friend identified as Chime Amaechi. Hard drugs were said to have been recovered from his car by the Lagos State Police Command. The Abiodun family, in a statement released yesterday, urged the public to “disregard insinuations” about the cause of his death. The statement, read: “The Abiodun family confirms the tragic and regrettable demise of our beloved son, Olugbemiga. We know there are many questions as to how or why such tragedy would happen to such great individual but still, God is in control. “The past few days have been most trying for the family. We are saddened by his demise, but we are comforted by the well wishes and kind thoughts of friends around the world. “Olugbemiga has touched so many people on so many different levels during his short life but few had the pleasure of truly knowing him. “He was a down to earth, generous, kind-hearted, idealist and selfless individual, who was extremely inspirational to many. …begs for privacy “The family hereby pleads with the public to disregard insinuations being peddled by certain sections of the media about the actual cause of our son’s death. “An official result of the autopsy conducted will be made available as soon as it is ready. Until then, we urge everyone to kindly respect our family’s need to grieve and come to terms with our loss privately. “We remain humble as parents and a family, among several around the world, who are bereaved via the tragic loss of a child. It is never easy to come to terms with the heart-wrenching and enduring agony that accompanies the death of a loved son. “However, our family will forever treasure memories of the extremely joyous days spent with Olugbemiga, prior to his demise. Those precious memories will stay with us forever. We are privileged to have some of his amazing, magic moments captured in our hearts. “To everyone who knew him, Olugbemiga was a son and man of immeasurable talent and promise. To those who knew him more personally, he was a consummate artiste and citizen of humanity. “We knew him as a devoted son, a loyal and very generous brother and friend. We treasure the outpouring of grief, empathy and love from unbelievably wonderful network of close friends in Nigeria and from around the world. “Families rarely experience such stirring warmth, compassion and support as have we, from every corner of the planet. “This has profoundly touched our hearts and lives. We are eternally grateful. 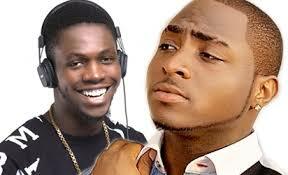 “At this moment however, we respectfully request the worldwide media to allow us time to grieve privately, without the intrusions associated with press and photography.” Late DJ Olu’s profile DJ Olu, born Oluwagbemiga Abiodun, is the son of Nigerian businessman Dapo Abiodun, the CEO of Heyden Petroleum. He was a graduate of the University of Essex. He started off as an underground DJ in 2010 while studying for his “A” levels in England. After DJing and headlining numerous parties across the country, it didn’t take long for him to get noticed. In June 2011 he was signed as the official DJ for Davido’s HKN record label. His three years as a part time DJ didn’t go unnoticed as he was crowned the baddest DJ in Africa after holding down the famous nightclub, Liquid, in Lagos till 7a.m. for four consecutive Saturdays in 2013. In early 2014, Olu embarked on a single man tour in UK and Canada, with all shows sold out. He played at various venues in South Africa, Ivory Coast, Ghana, Cotonou, Dubai, Miami, Atlanta and numerous cities in the UK. His mixtapes include some of the hottest artists from the scene. Olu was able to mix different sof music, for example hip-hop, funky, bashment, afrobeat, oldies to create a unique sound. He was allegedly in a very close relationship with Ajayi– the last born of Oyo state Governor, Abiola Ajimobi. We’re yet to receive any autopsy result—Police Meanwhile, the Lagos Police Command, through the office of the Police Public Relations Officer, ASP Famous-Cole, when contacted on whether there have been any autopsy results on the deaths of Tagbo Umeike, DJ Olu or Chime Amaechi, said they are yet to receive any autopsy results of the friends of the singer, Davido. He however assured that Police will address the press on the issue before the week runs out. But a source said the autopsy report of one of the victims is out but yet to be made public adding that the other two victims’ autopsy result is still being awaited as the Lagos State Police Commissioner, Imohimi Edgal would be addressing the press on the matter today (Wednesday.) Davido cancels Felabration appearance Nigerian hip hop singer, David Adeleke, known as Davido, cancelled his participation at this year’s ongoing Felabration, an annual musical festival to celebrate the ideals of late Afrobeat king and founder, Fela Anukulapo Kuti. His manager, Asa Asika, made the announcement yesterday, in an Instagram post, saying it was a tough decision, adding they have done so in good faith to honour the spirits of their late friends, who died one after the other in the last few days. “Out of respect for all the people we have lost of recent, we will not be at the Shrine tonight. I am sure everyone understands,” he wrote. Davido himself reached out to his fans on the same platform, begging them he would make it up to them. He wrote: “To all my fans expecting me at Felabration tomorrow (Tuesday), I’m sorry I would not be performing anymore. “I promise to make it up. I love you guys. Everyone stay prayed up. I love each and every one of you. RIP Chime, every time we met you were always happy.” Davido, who won Song of the Year award and Artiste of the Year award over the weekend at the AFRIMMA awards, has dedicated the two awards to his late friends, Tagbo Umeike and DJ Olu. Award dedication In his post, he said: “One for Olu, One for Tagbo. Nothing but love, support and positive energy came from you guys. Thanks to you guys for keeping me motivated. This is our award. Thank you AFRIMMA. Thank you Lord.” In spite of all his troubles, the Omo Baba Olowo, as he is fondly called continues his African tour tagged “30 Billion African Tour” and performed on Monday in South Africa admirably with no hint of his present predicament. His manager, Asa Asika, praised the singer for his courage in the face of his recent loss. Asika says, “Despite all the bad news these past few days, this man here (Davido) is still a straight champ. “He still got on stage in South Africa and gave an amazing performance just the way we know Olu would have wanted him to. It’s hard to understand but God knows best. DJ Olu lives forever, rest well brother.” The last few days before the commencement of his tour have been rather tumultuous for the ‘Skelewu’ singer, as three of his friends have died. The first to die was Tagbo Umeike, who died after his birthday gig with Davido and crew at the Shisha Lounge in Lekki. He allegedly died after heavy shots of Tequila. The news of his death was broken by his actress girlfriend, Caroline Danjuma, who accused Davido of complicity in his death. While the social media was playing ding dong with the news of Tagbo’s death with series of claims and counter claims, other two friends of Davido, who were at the birthday binge were turned up dead by the police. DJ Olu, born Olugbenga Abiodun, son of an oil magnate, Dapo Abiodun and Chime Amaecheana were found dead on Saturday in a BMW car in a garage on Block B, Banana Island, Lagos. The corpses of the deceased have since been deposited at the Lagos State Teaching Hospital morgue for post-mortem on possible cause of their deaths. However, the Lagos State Police Command confirmed that substances suspected to be hard drugs were found in the car where the remains of the two deceased friends of Davido were found.